This is Ann again for our final segment “Moving Beyond.” I want to tell you about a project that was originally piloted in the state of Maine and is now available nation-wide that’s actively using picture books to build bridges. The Welcoming Library is a pop-up community conversation about immigration. That conversation is driven by a collection of acclaimed immigration-themed picture books and their embedded discussion questions. From the First Generation Vietnamese American Picture Book A DIFFERENT POND: The kids at school say that the father’s English sounds like a “thick, dirty river.” The boy thinks his father’s English sounds like “gentle rain.” Why do the boy and his fellow students see the father differently? FROM TIA ISA WANTS A CAR: The girl says, “soon is when our family will join us, so I know soon is a very long time.” What do you think she means? Have you wanted something to happen “soon,” but it felt like a long time? 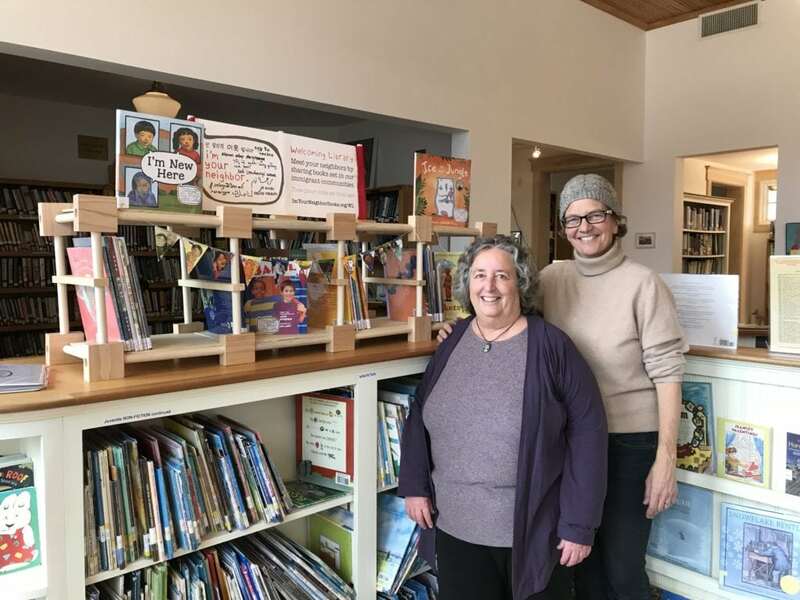 The picture book collection, its pop-up display unit (with celebratory flags and banners), along with programming and educational tools, packed into a crate and travels between schools, libraries, and community centers in a given region. 100% learned something new about a featured culture or community. 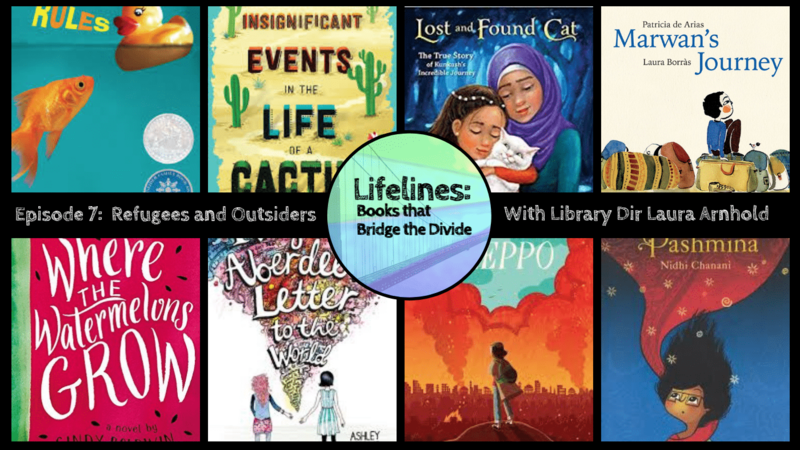 The Welcoming Library is a offshoot on a website founded in 2012 by Kirsten Cappy of Curious City and kidlit authors Anne Sibley O’Brien and Terry Farish. ImYourNeighborBooks.org lists immigration and first-third generation children’s literature and allows users to browse books by community represented – something not available elsewhere. Need a list of children’s books representing Somali Americans? Children’s book set in Afghanistan? I’m Your Neighbor Books categorizes and features them.